If you’re not already familiar with Martin Markvardsen, he’s something of a Scotch whisky legend. Having spent 28 years in the industry (more than a quarter of a century!) – the last 13 at Highland Park – his work has seen him involved in every single step of whisky production, from peat burning on Islay to cocktail-making at the world famous Craigellachie Hotel. Down those tools and pick up a dram: it’s Friday, folks! And with the last day of the working week comes your regular round-up of delicious developments from the wonderful world of booze. It can only be The Nightcap! Happy Friday, team! We made it. Perhaps you’ve been following all the highs and lows of the World Cup (soz, Germany) and are relishing today as a football-free period of recovery. Or maybe you’ve eschewed all things FIFA and have been basking in the summer sunshine instead (it’s been SIZZLING here in the UK). Either way, there’s a high chance some of this week’s biggest stories might have passed you by. Which is why we’re here to help! Calculators at the ready, folks – Edrington, the company that makes The Macallan, Highland Park and Famous Grouse, among others, has just released its financial results for the year to March 2018. And in the document the company announced it’s looking to sell the Cutty Sark and Glenturret Scotch whiskies! We investigate what’s going on and crunch the sums after sales climbed 7%* to £706.7 million. It’s all change for spirits-maker Edrington. It’s a case of out with the old for Cutty Sark and Glenturret, and in with the new (THAT new Macallan distillery) as sales climb and stats are bolstered. 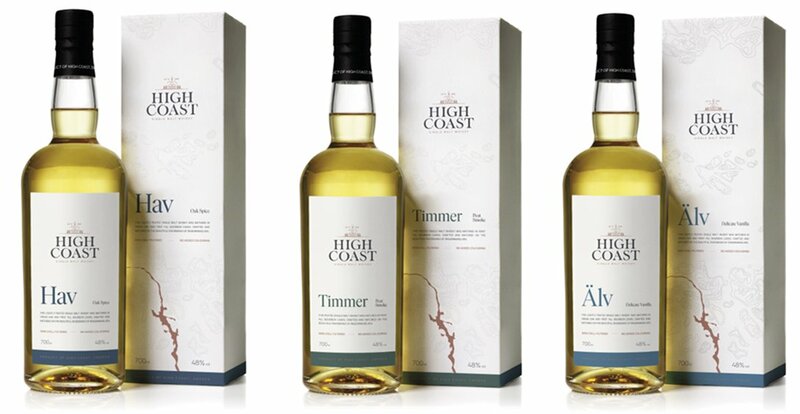 At a global launch that took place in Denmark, Highland Park recently introduced new packaging that will be rolled out across their core range, their new brand positioning as “The Orkney single malt with Viking Soul” and further special editions. Nods to Norse mythology have, of course, been commonplace from the distillery for many years, but now that they’ve gone ‘full Viking’ let’s delve a little deeper into what it’s all about and what (if anything) this all means for the celebrated distillery’s beloved whisky. We do beer now, as you’ll no doubt know by now. That means we’ll be writing about the delicious stuff here on the blog as well as all the new and exciting pages on the site. Where to start though? Well, how about at the very beginning? That’s usually the best place. We’re Indie Islands Bottler & Grain Bottler of the Year! No Comments on We’re Indie Islands Bottler & Grain Bottler of the Year!